The region’s bevy of restaurants comprises one of the area’s most intriguing business sectors, one in which there is constant movement, new additions, and exciting stories unfolding. 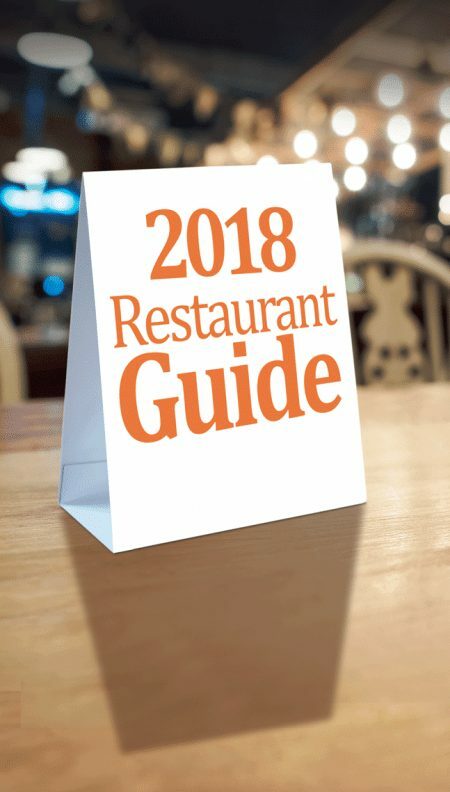 This year is no exception, and BusinessWest captures that movement, that excitement, in its annual Restaurant Guide. The following business certificates and trade names were issued or renewed during the months of April 2018. Susan Pratt-Tripp Memorial Foundation Inc.
T & Y Enteprises Inc.
• April 18: Good News Business Salute, 7:30-9 a.m., hosted by Berkshire Hills Country Club, 500 Benedict Road, Pittsfield. Join us for our morning breakfast, where we will honor members and announce the winner of this year’s Esther Quinn Award. Cost: $35-$45. Register online at www.1berkshire.com. • April 26: Creative Resources Conference, 10 a.m. to 5 p.m., hosted by Stationery Factory, 63 Flansburg Ave., Dalton. The format has three tracts, with a total of nine workshops for creatives, entrepreneurs, and small businesses. More information to come. Register online at www.1berkshire.com. • April 26: Margarita Madness, 5:30-7:30 p.m., hosted by Lord Jeffery Inn, 30 Boltwood Ave., Amherst. Come taste margaritas and vote for your favorite. There will also be delicious dishes from participating restaurants and dozens of great raffle prizes. Cost: $30 pre-registered, $40 at the door. Register online at www.amherstarea.com. • April 19: Business After Hours: A Salute to the ’70s Disco Party, 4:30-6:30 p.m., hosted by Ohana School of Performing Arts. Cost: $10 for members, $15 for non-members. Sign up online at chicopeechamber.org/events. • April 24: B2B Speed Networking, 8-9 a.m., hosted by Chicopee Boys and Girls Club. For more information, visit chicopeechamber.org/events. • April 25: Salute Breakfast at the Moose Family Center: “Easy, Cost-neutral Sustainability for Businesses,” 7:15-9 a.m. Chief Greeter: Phil Norman, CISA. Keynote: Center for EcoTechnology. Sponsored by United Personnel, Westfield Bank, Holyoke Medical Center, Polish National Credit Union, Gaudreau Group, Sunshine Village, Spherion Staffing Services, and PeoplesBank. Cost: $23 for members, $28 for non-members. Sign up online at chicopeechamber.org/events. • April 18: Chamber After Hours, 5-7 p.m., sponsored and hosted by Fairfield Inn & Suites, 229 Whiting Farms Road, Holyoke. Meet up with your friends and business associates for a little networking. Cost: $10 for members, $15 for non-members. Feel free to bring a door prize. Sign up online at holyokechamber.com. • April 20: Economic Development Breakfast, 7:30-9 a.m., hosted by Holyoke Community College, Kittredge Center, PeoplesBank Conference Room. Learn from EMPATH about how to break the cycle of poverty and utilize the bridge to self-sufficiency theory to approach economic mobility. EMPATH helps low-income people achieve long-term economic mobility, and has developed a holistic approach to mentoring. Event emcees are Mary Coleman, EMPATH; Dr. Christina Royal, Holyoke Community College; and Kathleen Anderson, Greater Holyoke Chamber of Commerce. Cost: $25 for members, $30 for non-members and walk-in guests. • April 24: Home & Business Community Marketplace & Tabletop Event, 4:30-7 p.m., hosted by the Ranch Golf Club, 65 Sunnyside Road, Southwick. An opportunity to market and sell your products and services to area residents and businesses. Sip and shop your way through the marketplace with a beer and wine tasting, live music, and a chance to vote for your favorite nosh at the food court. Cost: $50 for vendor rental space (table not included; bring your own, six feet or less with tablecloth), $75 for vendor table (includes six-foot table; bring your own tablecloth). Attendance is free to the public. For more information, contact Southwick Economic Development at (413) 304-6100. • April 19: Business After 5, 4:30-6:30 p.m., hosted by Ohana School of Performing Arts, 470 Newton St., South Hadley. Sponsored by Berkshire Hills Music Academy. This Everything 70’s Disco Party is a networking event for members and friends of the chamber. We are joining with the Greater Chicopee Chamber of Commerce on this event, so there will be many new business colleagues to meet and greet over the three floors of studio space. The event will feature music, food, beverages, and dancing. Cost: $10 for members, $15 for non-members. For further information and to register, visit www.shgchamber.com or call the chamber office at (413) 532-6451. • April 22: Mohegan Sun bus trip, 9:30 a.m. to 6:30 p.m. Proceeds support the chamber’s scholarship fund and its two community Councils on Aging. There are bonuses on food and other pluses included in the cost. Bus departs from and returns to the former Big Y parking lot at 501 Newton St. Cost: $35. For further information and to register, visit www.shgchamber.com or call the chamber office at (413) 532-6451. • April 24: An Educational Breakfast: “Cybersecurity: What We All Need to Know,” 7:30-9 a.m., hosted by PeoplesBank and Loomis Village, 20 Bayon St., South Hadley. We will learn how cybersecurity impacts our own lives, both personally and professionally. The presentation will be led by Joseph Zazzaro, senior vice president, Information Technology, and David Thibault, first vice president, Commercial Banking at PeoplesBank. Cost: $10 for members, $15 for non-members. For further information and to register, visit www.shgchamber.com or call the chamber office at (413) 532-6451. • April 25: Beacon Hill Summit, 7 a.m. to 7 p.m., day-long trip to the State House to meet legislators. Cost: $180 for members, $225 general admission, which includes transportation, lunch, and reception. To make a reservation, visit www.springfieldregionalchamber.com, e-mail [email protected], or call (413) 755-1310. • April 19: YPS Third Thursday: “Career Development & Networking,” 5-7 p.m., hosted by Lattitude Restaurant, 1338 Memorial Ave., West Springfield. Cost: free for YPS members, $10 for non-members. • April 3: Chamber Seminar: “Pay Equity,” presented by Employers Assoc. of the NorthEast, 9-11 a.m, hosted by La Quinta Inn & Suites. Sponsored by Westfield Bank. Cost: $20 for members, $25 for non-members. Sign up online at chicopeechamber.org/events. • April 11: Multi-chamber Table Top Expo: “A Taste of Commerce,” 4:30-7 p.m., hosted by Bartley Center at Holyoke Community College. Table fee of $150 includes table, two entrance passes, a light supper, and parking. Admission: free with pre-registration only, $15 at the door. Sign up at chicopeechamber.org/events. • April 4: Networking by Night, 5-7 p.m., hosted by Suite3 in the Mill 180 Building, 180 Pleasant St., Easthampton. Sponsored by Suite3. Take your connection building to the next level when we partner with the Greater Northampton Chamber of Commerce on this Networking by Night event. Cost: $10 for members, $15 for future members. For more information, visit www.easthamptonchamber.org or call the chamber office at (413) 527-9414. • April 11: Multi-chamber Table Top Expo: “A Taste of Commerce,” 4:30-7 p.m., hosted by Bartley Center at Holyoke Community College. Friends and colleagues can come together for new networking opportunities and new features such as Made in Mass., Minute Clinic, and Food for Thought. Admission: free with online registration, $15 at the door. Table space is still available. For more information, visit www.easthamptonchamber.org or call the chamber office at (413) 527-9414. • May 10: Networking by Night, 5-7 p.m., hosted by Amy’s Place, 80 Cottage St., Easthampton. Sponsored by bankESB. There will be food and door prizes. Cost: $10 for members, $15 for non-members. For more information, visit www.easthamptonchamber.org or call the chamber office at (413) 527-9414. • April 4: Women in Leadership Series, 11:30 a.m. to 1:30 p.m., hosted by HCC Culinary Arts Institute, 164 Race St., Holyoke. Join us April through July to learn from area CEOs while networking with your peers from the region. 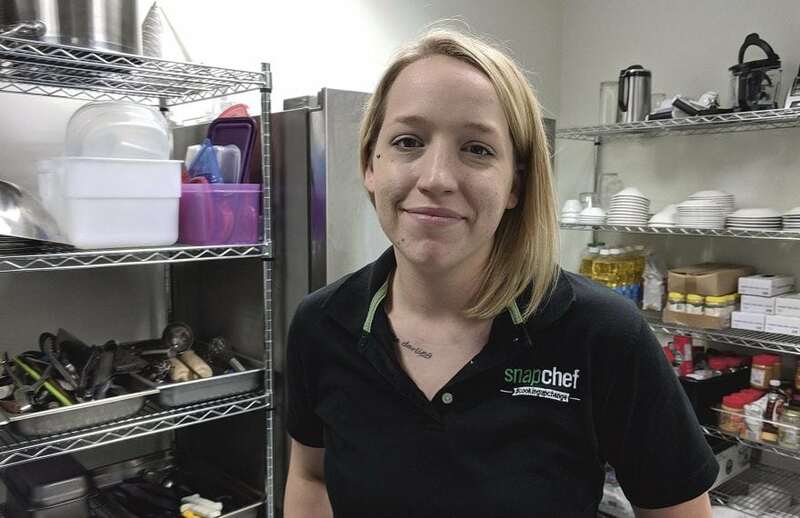 An elegant lunch prepared by students from the Holyoke Community College Culinary Arts program will provide the setting, which will create the opportunity for a meaningful dialogue on some key leadership issues for those building their careers. Each month your table will join one of the region’s leading CEOs. • April 11: Multi-chamber Table Top Expo: “A Taste of Commerce,” 4:30-7 p.m., hosted by Bartley Center at Holyoke Community College. Presented by the Greater Holyoke, Greater Chicopee, Greater Easthampton, Greater Northampton, South Hadley/Granby, and Quaboag Hills chambers of commerce. Vendor tables cost $150. Admission: no charge with advance registration, $15 at the door. This event sells out. Call (413) 534-3376 or your local chamber to reserve a table. • April 20: Economic Development Breakfast, 7:30-9 a.m., hosted by Holyoke Community College, Kittredge Center, PeoplesBank Conference Room. Learn from EMPATH about how to break the cycle of poverty and utilize the bridge to self-sufficiency theory to approach economic mobility. EMPATH helps low-income people achieve long-term economic mobility, and has developed a holistic approach to mentoring backed by the latest brain science that busts through silos and combats chronic stress. Event emcees are Mary Coleman, EMPATH; Dr. Christina Royal, Holyoke Community College; and Kathleen Anderson, Greater Holyoke Chamber of Commerce. Cost: $25 for members, $30 for non-members and walk-in guests. • April 4: April Arrive @ 5, 5-7 p.m., hosted by Suite3 in the Mill 180 Building, 180 Pleasant St., Easthampton. Sponsored by Applied Mortgage, H&R Block, and MassDevelopment. A networking event. Cost: $10 for members. • April 11: Protecting Your Data from Security Risks, 9-11 a.m., hosted by Northampton Chamber of Commerce, 99 Pleasant St., Northampton. Presented by Pioneer Training. CyberSafe is a two-hour workshop for non-technical users that focuses on using technology without compromising personal or organizational security. Students will learn the skills they need to protect digital data on computers, networks, mobile devices, and the Internet. They will learn how to identify many of the common risks involved in using technology, such as phishing, spoofing, malware, and social engineering, and then learn how to protect themselves and their organizations from those risks. Pre-registration is required, and space is limited. Cost: $25 for members, $35 for non-members. To register, visit goo.gl/forms/pX8YUuC25YdMsLjD2. • April 11: Multi-chamber Table Top Expo: “A Taste of Commerce,” 4:30-7 p.m., hosted by Bartley Center at Holyoke Community College. A networking event. Cost: $150 for a table for members, $225 for a table for non-members, $10 walk-in fee for members. 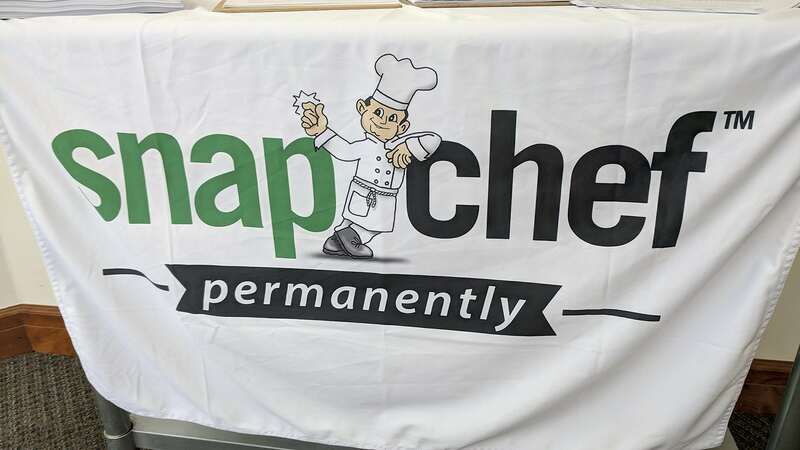 • May 17: Workshop: “Microsoft Excel Tips, Tricks & Shortcuts,” 9-11 a.m., hosted by Greater Northampton Chamber of Commerce, 99 Pleasant St., Northampton. Presented by Pioneer Training. This workshop will present our favorite tips, tricks, and shortcuts we have collected and developed over 20 years of teaching and using Microsoft Excel. Topics will include shortcuts for selecting ranges, using autofill to create a series of dates or numbers, setting the print area, using page-break preview, adding headers and footers, and using page-layout view. You’ll learn how to group spreadsheets in the same workbook in order to type or format more than one sheet at the same time, as well as how to create 3D formulas that calculate across several spreadsheets in the same workbook. Participants are encouraged to bring laptops and follow along with the instructor, but this is not required. Cost: $35 for members, $45 for non-members. Pre-registration required at goo.gl/forms/pX8YUuC25YdMsLjD2. • June 6: June Arrive @ 5, 5-7 p.m., hosted by Glendale Ridge Vineyard, 155 Glendale Road, Southampton. Sponsored by Northeast Solar, MassDevelopment, and Kuhn Riddle Architects. A networking event. Cost: $10 for members. • June 21: Workshop: “Microsoft Word: Advanced Tips, Tricks & Shortcuts,” 9-11 a.m., hosted by Greater Northampton Chamber of Commerce, 99 Pleasant St., Northampton. Presented by Pioneer Training. This workshop will go beyond the basics and explore some of Word’s more advanced features. You’ll learn how to use Word styles to make global changes to a document quickly and easily. The class will also cover working with templates to automate document creation. You’ll learn to use several of Word’s features for working with longer documents — adding a table of contents, inserting section breaks, inserting headers and footers, and inserting and modifying page numbers. Cost: $35 for members, $45 for non-members. Space is limited, and pre-registration is required at goo.gl/forms/pX8YUuC25YdMsLjD2. • April 2: April Mayor’s Coffee Hour, 8-9 a.m., hosted by the Arbors, 40 Court St., Westfield. 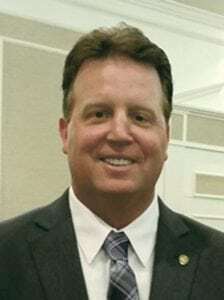 Join us for our monthly Mayor’s Coffee Hour with Westfield Mayor Brian Sullivan. Event is free and open to the public. Register online at www.westfieldbiz.org so we may give our host a proper count. For more information, call Pam at the chamber at (413) 568-1618. • April 11: WE2BA High School Career Fair, 7:45-11:30 a.m., hosted by Westfield State University at the Woodward Center, 395 Western Ave., Westfield. Don’t miss the chance to help shape our future through workforce development in our community. Join us to help inspire Westfield High School and Westfield Technical Academy students with career exploration. More than 400 students will be in attendance. We are looking for 75 vendors to participate. The vendor tables are free. Register online at www.westfieldbiz.org. For more information, call Pam at the chamber at (413) 568-1618. • April 9: April After 5 Connection, 5-7 p.m., hosted by Betts Plumbing & Heating Supply Inc., 14 Coleman Ave., Westfield. Refreshments will be served. A 50/50 raffle will benefit the chamber scholarship fund. Bring your business cards and make connections. Cost: free for members, $10 for non-members (cash or credit paid at the door). Register online at www.westfieldbiz.org. For more information, call Pam at the chamber at (413) 568-1618. • April 11: Multi-chamber Table Top Expo: “A Taste of Commerce,” 4:30-7 p.m., hosted by Bartley Center at Holyoke Community College. This business networking and marketing event, now in its 24th year, will provide business professionals and entrepreneurs an opportunity to promote their businesses — to “strut their stuff.” Tables are available for $150. Admission is free if you pre-register with the chamber or $15 at the door. Whether you plan to be a participating vendor or want to simply attend, go to www.shgchamber.com for more information or to register, or call (413) 532-6451. • April 4: [email protected], 7:15-9 a.m, hosted by Delaney House, One Country Club Road, Holyoke. Featuring the Mayor’s Forum with Springfield Mayor Domenic Sarno, West Springfield Mayor William Reichelt, and newly elected Easthampton Mayor Nicole LaChapelle, who will be interviewed by Western Mass News anchor Dave Madsen. Cost: $25 for members in advance ($30 at the door), $35 general admission ($40 at the door). To make a reservation, visit www.springfieldregionalchamber.com, e-mail [email protected], or call (413) 755-1310. • April 5: Leadership Institute Graduation, 6 p.m., hosted by Springfield Sheraton, One Monarch Place, Springfield. Cost: $40 for members. To make a reservation, visit www.springfieldregionalchamber.com, e-mail [email protected], or call (413) 755-1310. • April 4: Wicked Wednesday, 5-7 p.m., hosted by CHD Cancer House of Hope, West Springfield. Wicked Wednesdays are monthly social events, hosted by various businesses and restaurants, that bring members and non-members together to network in a laid-back atmosphere. For more information about this event, contact the chamber office at (413) 426-3880, or register online at www.westoftheriverchamber.com. • April 12: Networking Lunch, noon to 1:30 p.m., hosted by Lattitude, West Springfield. Must be a member or guest of a member to attend. Enjoy a sit-down lunch while networking with fellow chamber members. Each attendee will get a chance to offer a brief sales pitch. The only cost to attend is the cost of lunch. Attendees will order off the menu and pay separately that day. We cannot invoice you for these events. Register online at www.westoftheriverchamber.com. 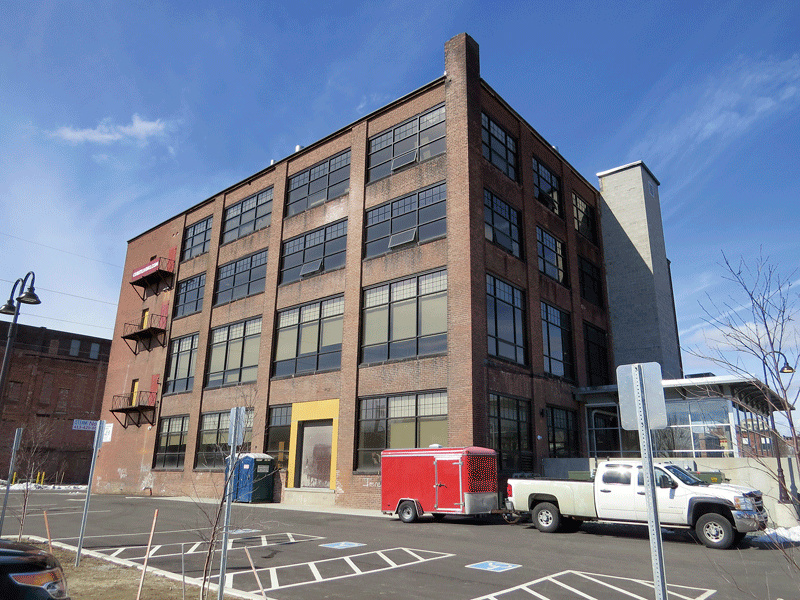 Green Thumb Industries will soon begin operating a marijuana-cultivation operation in this mill building at 28 Appleton St. And it will likely be the first of several such operations in Holyoke. Marcos Marrero says that if one were to have a machine running an optimization algorithm that would weigh a host of quantitative and qualitative factors to ultimately determine the very best spot in the region — and maybe the country — to locate a marijuana cultivation and distribution facility, it would, when done with its analysis, likely spit out two words: Holyoke and Massachusetts. And that second word is necessary, he went on, because there is, in fact, a Holyoke in Colorado, the first state to legalize recreational marijuana, and he’s already been asked more than a few times if he works for that small town of 5,000 people near the center of the Centennial State. He doesn’t. He’s director of Planning and Economic Development for the other Holyoke, the one on the Connecticut River. The one heralded as one of the first planned industrial cities in the country. The one where Chicago-based Green Thumb Industries (TGI) is set to open an estimated $10 million marijuana-cultivation facility in former mill space on Appleton Street this spring. And Marrero is fielding a lot of phone calls and e-mails these days from other people wanting to know more about that Holyoke, and marijuana cultivation is usually the reason (more on those inquiries later). First, back to that algorithm. As noted, it would weigh a host of quantitative factors, said Marrero, and they all project strongly in Holyoke’s favor. These range from the roughly 1.5 million square feet of available, attractively priced mill space within the city, much of it ideal for marijuana cultivation because of the mills’ open spaces and high ceilings, to the lowest electricity rates in the state (this is a power-intensive business), to Holyoke’s location along I-91 and just off the Turnpike. “You can ship it east, and you can ship it north,” said Marrero, adding quickly that there also qualitative factors to consider. Or at least one big one, anyway. That would be the city’s welcoming attitude toward an industry that most communities in the Bay State are throwing stop signs and speed bumps in front of. But this cannabis phenomenon, if you will, is just part of the story. And it’s only one of the ways in which the city is succeeding with filling some its legendary and mostly idle or underused mills. There are many others, starting with the Holyoke Community College MGM Culinary Arts Institute, which opened in the Cubit building (anther of those old mills) in January. There are also the market-rate apartments in the floors above that facility, and a host of other housing initiatives as well. There are also arts-related facilities, such as Gateway City Arts on Race Street. And then, there are a growing number of startups, mentored by groups like SPARK, that are also moving into those mills. All this, or most all of it (the marijuana law was passed in 2016), was part of Morse’s vision when he became mayor in 2012, and also why he’s still mayor today, having been re-elected to a four-year term (the city’s first) last fall. Back when he first ran for office, he explained, he saw enormous potential for the city to become home to a wide array of businesses and to become an attractive residential address as well after decades when it clearly wasn’t. The formula called for a host of public investments — they’ve come in many forms, from a new canal walk to a new train depot to a slew of road projects — that would in turn encourage private investments (such as the Cubit building and GTI, for example). There would also be a focus on building the cultural economy, encouraging entrepreneurship, and maximizing Holyoke’s many geographic and historical assets. In short, it’s all coming together nicely, as we’ll see in this, the latest installment of BusinessWest’s Community Spotlight series. When asked to put all that aforementioned interest in Holyoke on the part of cannabis enterprises, or would-be cannabis enterprises, into perspective, Marrero let out a deep breath. And it’s been crazy for a reason, actually several of them, as noted at the top. “We believe we have the best competitive advantages for the industry at this time,” Marrero explained, “from the real estate to the low-cost electricity — those lights are on a lot — to the water. Holyoke has a lot of offer these businesses. “And in Mayor Morse, you have the first mayor to come out and quite vocally support legalizing marijuana, recreationally and medically, and that certainly makes a difference,” he went on, adding that the city had one of the first ordinances in the state regulating, but also, and in many ways, welcoming the industry. “So there’s some political stability — there’s a willingness and a desire to have this industry here,” Marrero continued, adding that all this caught the attention of GTI, which is now permitted to operate a facility on 42,000 square feet of former mill space at 28 Appleton St. The company plans to hire about 100 people within the next year, said Morse, adding that, while not all of these are skilled positions, per se, these will be attractive positions with wages averaging $15 or more. The Cubit building, home to apartments and the Holyoke Community College MGM Culinary Arts Institute, is just one example of how Holyoke’s historic mills are being put to new and productive uses. Meanwhile, there are many other entities looking to join GTI, said Marrero, adding that there are at least six businesses expressing what he called “serious” interest and moving toward the permitting stage, and perhaps a dozen more that are kicking the tires and filling Marrero’s voice mailbox. How many will eventually land in Holyoke obviously remains to be seen, but Marrero and Morse both believe the cannabis sector could soon employ hundreds in the Paper City and bring additional benefits as well in the form of supporting businesses that will also pay taxes and employ area residents. This is what has happened in Colorado (he’s not sure about the community of Holyoke) and other states where marijuana has been legalized, he went on, adding that the Holyoke in Massachusetts has the opportunity to learn from the mistakes made by others before it, and there have been some. While the cannabis industry starts to fill in that section of the canvas that is a changing Holyoke, other businesses are finding the city as well, and the vision that Morse put in place at the start of this decade is coming into focus. That vision involved embracing the city’s industrial past as a paper and textile hub, but also recognizing that this was in the past and that the community had to develop new sources of jobs and tax revenue while also revitalizing a downtown that had seen much better days. The strategy for doing all that, as noted earlier, is multi-faceted. There’s been a housing strategy as part of that broader plan, he went on, adding that housing is obviously key to attracting businesses and the people who would work for them. 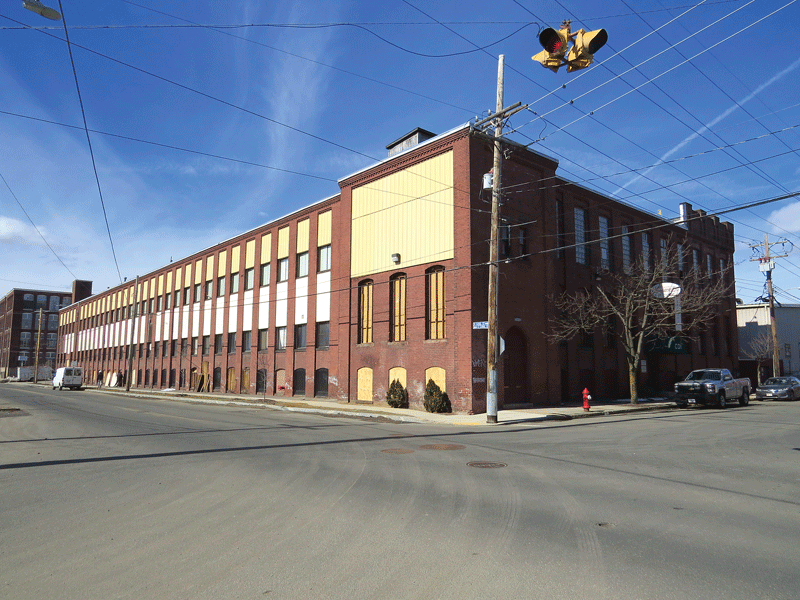 The goal is to create a dense, diverse inventory of housing, Morse went on, adding that the city is making strides in this regard with market-rate projects such as the Cubit building, mixed-use projects such such as a Wynn Development initiative at the former Farr Alpaca Mills on Appleton Street, and public housing efforts such as the ongoing, 167-unit Lyman Terrace project. As for those public investments, they have come in many forms, including the canal walk and train station, but also a number of parks and neighborhoods. The effect has been to make the city a more attractive option for businesses, but also families, said the mayor. There have been more than 80 ‘graduates’ of that program of mentoring and education, run by the Greater Holyoke Chamber of Commerce, he went on, adding that some of them are either incubating in Holyoke or have already moved into their own space within the city. Meanwhile, there are other forms of progress to note across the city, said Morse, listing everything from a rising high-school graduation rate — it was under 50% when he took office, and now it’s closer to 70% — to falling unemployment; from planned revitalization of the former Lynch School just off I-91 (an RFP was recently issued) to needed evolution at the Holyoke Mall. The mall is one of the city’s important assets, he noted, adding that it brings thousands of people into the city every day. With the retail sector struggling in the wake of emerging forces like Amazon, and malls fighting to keep their spaces filled, the facility in Holyoke is responding with family-oriented tenants that are keeping the parking lots crowded, said the mayor. As for the graduation rate and improvement at the public schools overall, this is an important ingredient in the overall strategy for Holyoke’s revitalization, said the mayor. And with continued progress in mind, the city will launch a new high-school model this fall, one based on four different academies focused on career readiness to create more pathways for students. As he talked about cannabis — and everything else going on in Holyoke — Morse joked that Holyoke might soon run out of mill space to offer developers. That’s not likely to happen any time soon, if ever. But that number of available square feet in the mills that gave Holyoke its nickname and its heritage keeps going down. And cannabis is just one of the reasons. 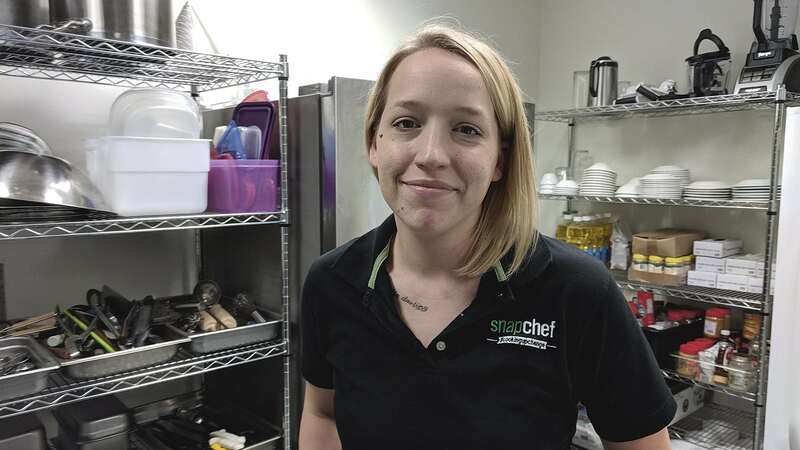 Many of the same character traits that are attracting marijuana growers — from the mills to the highways to a business-friendly City Hall — are attracting other types of businesses as well. As noted, Morse couldn’t exactly have foreseen the cannabis industry being one of his city’s leading employers when he took office. But he could foresee a time when his staff and the office of Planning and Economic Development would be flooded with calls from people interested in maybe setting up shop in Holyoke. And not the one in Colorado.